Filing meeting minutes involves a multi-step process. Depending on the type of business or organization for which the minutes are being filed, there are also some associated legal requirements that must be kept in mind. 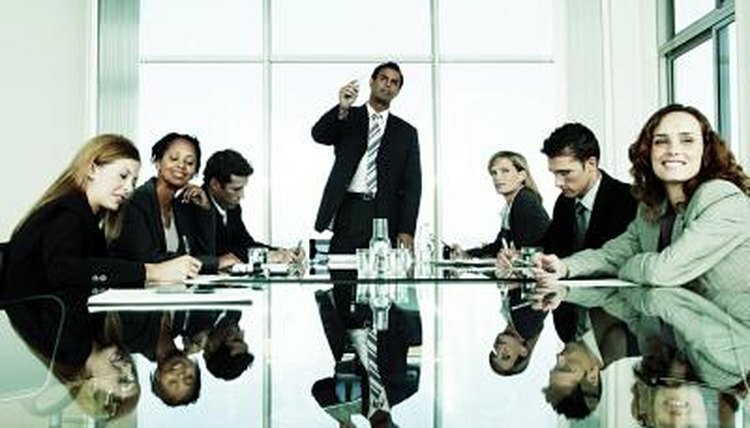 Specifically, there are unique legal standards that need to be met in regard to preparing and filing corporate minutes. The failure to follow the law pertaining to corporate minutes actually renders a corporation out of compliance which does have some serious legal consequences. Record the minutes of a meeting. Typically the secretary of a business, corporation or other type of organization is responsible for taking down the actions of an official meeting of that business, corporation or organization. Place the minutes into a usable form. Because minutes typically are taken down by hand, this process involves turning these notes into a digital or typed format. Bring the formal minutes to the next meeting of the business, corporation or organization. Present the minutes to the group for review and consideration. Before the minutes can be filed, the appropriate members or officers (the board of directors, for example) must review and approve the minutes as presented. Make any necessary amendments to the minutes. Vote to approve the minutes as amended (or as written if no amendments are made). Place the original copy of the approved minutes into the minutes record book. Corporations are required by law to maintain such record books. Other organizations normally need to maintain similar record books through their bylaws. Broemmel, Mike. "How to File Meeting Minutes." , https://legalbeagle.com/5799467-file-meeting-minutes.html. Accessed 21 April 2019.